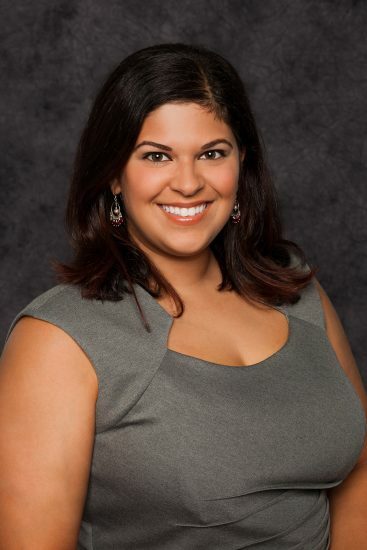 Roswell, Georgia – Sarah Zibanejadrad Beeson of Oasis Consulting Services was recently named to the National Small Business Association (NSBA) Leadership Council. NSBA is the nation’s oldest small-business advocacy organization, and operates on a staunchly nonpartisan basis. Ms. Beeson, a recognized leader in the small-business community, joins the NSBA Leadership Council alongside other small-business advocates from across the country as they work to promote the interests of small business to policymakers in Washington, D.C.
Ms. Beeson is currently the Director of Business Development and Marketing for Oasis Consulting Services but has been deeply involved with the firm since childhood — her parents, Claudia Lynn Zibanejadrad and Majid Zibanejadrad, founded the firm in 1996. She received her Master’s of Business Administration from the University of Georgia in 2014 and is currently completing her Master’s of Science in Environmental Management through the University of Maryland University College. Ms. Beeson is on track to become the second-generation woman owner of Oasis Consulting Services, succeeding her mother. Ms. Beeson joined the NSBA Leadership Council as part of her efforts to tackle the many critical issues facing small business, including tax reform, regulatory restraint, health care costs and how the Affordable Care Act will impact small business. The NSBA Leadership Council is focused on providing valuable networking between small-business advocates from across the country while ensuring small business a seat at the table as Congress and regulators take up key small-business proposals. Oasis Consulting Services is a woman-owned consulting firm specializing in providing environmental and geotechnical solutions based in Roswell, Georgia.